Can you believe these lottery facts are true?! Lotteries do more than just make people millionaires. Lotteries change lives, they turn dreams into realities and they provide the world with some pretty exciting stories. Rags to riches never fail to inspire the world, but while winner stories are stirring the hearts of many there are also some pretty strange things happening out there. Let’s look at some peculiar lottery facts. When we looked at how lotto jackpots really go unclaimed it was estimated that billions have gone unclaimed over the years. On 8 June 2012 when EuroMillions drew, the winning ticket was worth a staggering £63,837,543.60! The winning ticket was sold in the UK, but no one has claimed the prize. Not only is this shocking to believe, but this jackpot also holds the world record for the largest unclaimed prize. Even if this player does find their ticket today, they would not be able to use it. Sorry mate! Lotteries have come a long way since the first papacy was against it in Rome. Excommunication was threatened to any Catholic who participated in Italian lotteries. Then in 1732, Holy See Ied Pope Innocent XIII finally permitted an official Roman lottery. Centuries later, the lottery has not only found its way into the city, but it’s found its way into the heart of Pope Francis himself. In January 2015, Pope Francis even held a lottery where funds went to charity! “Respect your elders!” Sounds familiar right? Mindy Crandall was the embodiment of respecting your elders when she let 84-year-old Gloria MacKenzie cut in line at a grocery store. This gesture was really kind, except they both had one exact same item on their shopping list; a Powerball ticket. Jumping the line meant that Gloria Mackenzie won $509 million with her ticket! According to Crandall, she doesn’t regret her decision and even says that her respectful gesture taught her daughter the importance of kindness. 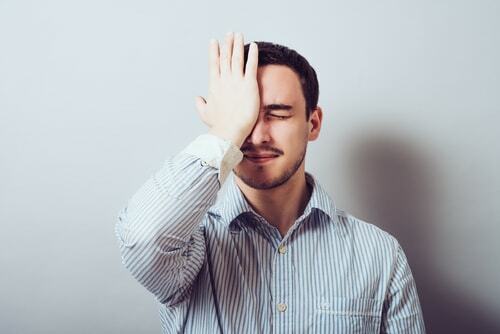 Kindness might be precious, but don’t let this happen to you! Play Powerball online instead! In 2003 Powerball suspected more than 100 people of committing fraud! On average, Powerball expects between 0 and 4 winners per draw, but in 2003 there were 110 winning tickets! That’s right, 110 tickets played the exact same numbers which happened to match the winning Powerball numbers. What are the chances right? Powerball was incredibly suspicious and initially suspected fraud but what they actually found was much more interesting than that. 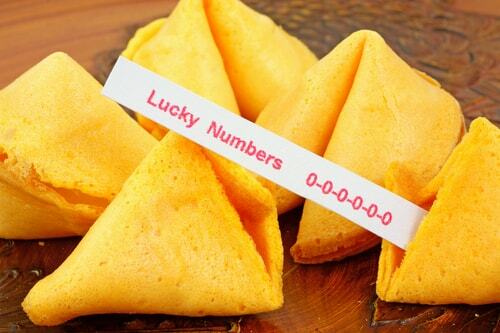 It turned out that a fortune cookie was going around Chinese restaurants with the exact same fortune - 6 lucky numbers. People took the numbers as a sign and decided to play them. Turns out the numbers really were lucky! 89 players won $100,00 and 21 won $500,00 from picking the Power Play which multiplied their winnings. Moral of the story? Eat more fortune cookies! When anyone wins a lottery jackpots their stories are all unique, but these unusual lottery facts are definitely the cherries on the cake.